Home movies help the US ride out the recession? Your job's moved to India, your house is worth less than a cardboard box and you can't get a loan - sounds like the perfect time to rent a movie! Online film rental company Netflix just announced its latest figures and they're better than ever. The fourth quarter of 2008 saw the company reaching a subscriber base of nearly 9.4 million. That's two million more users than the company had at the same time last year. 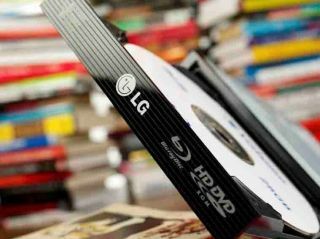 The service revolves around users who pay a monthly fee for unlimited DVD rentals, or Blu-ray rentals by post. The company has also expanded into online streaming through either PCs, set-top boxes or Blu-ray players. However, Netflix is still suffering high levels of churn. The fourth quarter saw over 2 million new subscribers join, but 1.3 million existing customers leave its service: a net gain of just 718,000 users. At any one time, about 2 per cent of its users (currently around 188,000 people) are on free introductory offers. Despite this, the company earned a healthy $1.37 billion (£980 million) during last year and expects to grow that to $1.6 billion (£1.1 billion) in the year ahead. This will be at least partly due to the drop in the advertising cost of getting new subscribers, which is currently at $26 (£18.50) down from $35 (£25) in 2007.